Governor Rick Scott announced late yesterday that the EAA reservoir project has been approved by the White House Office of Management and Budget (OMB) and will be transmitted to Congress. 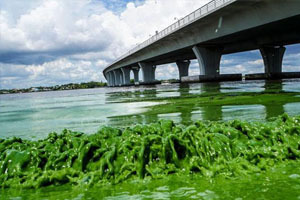 On June 28, Governor Rick Scott met with OMB Director Mick Mulvaney to advocate for the approval of this project that will store more water south of Lake Okeechobee, helping reduce the need for harmful water discharges controlled by the federal government. In 2017, Governor Scott signed Senate Bill 10 that accelerated the EAA reservoir. The Governor is also the first Governor in Florida history to dedicate state funding, $100 million, to the Herbert Hoover Dike repairs, a federal project that will help the Lake store more water. After the Governor’s urging, the federal government included full funding to complete the repairs to the dike three years early. Governor Scott said, “I have aggressively fought for these communities since I became Governor and today we finally received approval for the EAA reservoir. The approval of the EAA reservoir project is a tremendous step toward storing more water south of Lake Okeechobee. Once again, our communities are facing a threat from water being released by the federal government from Lake Okeechobee. In Florida, to minimize the impact of these water discharges, we have taken decisive action to find more water storage to protect our rivers and coastal estuaries. This includes the EAA reservoir project that I worked with the Florida Legislature to accelerate and the critical repairs to the Herbert Hoover Dike that we urged to be included in supplemental disaster funding. Also, I issued an emergency declaration this week, so the state can do everything in our power to mitigate the immediate threat of the Army Corps of Engineers’ water releases. On Monday, Governor Scott announced a multifaceted state response to the harmful water releases from the federal government, including the issuance of an emergency order. More information can be found HERE.